All the unicorns in the house, raise your hands! 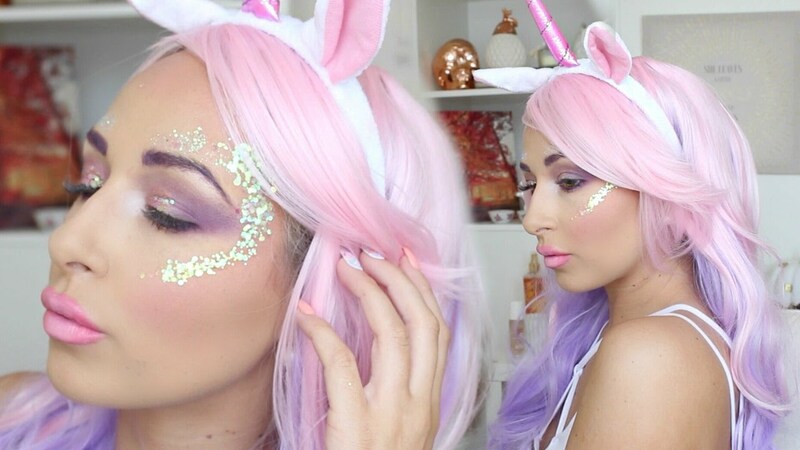 Unicorns are the super cute magical creatures full of happiness and a lot of magic. 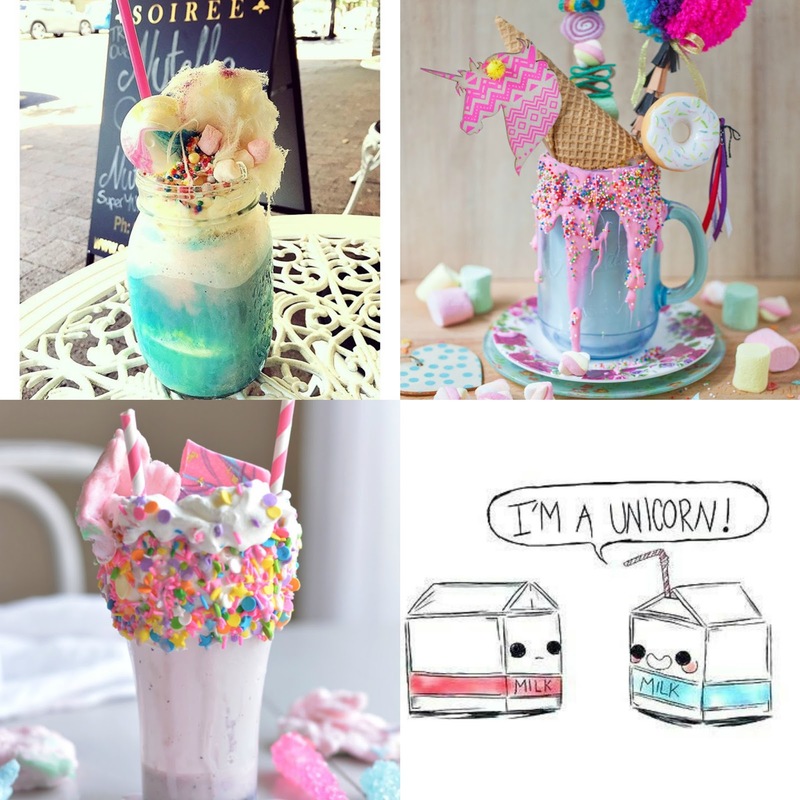 I have a special and very soft corner in my heart for these adorable beings, even if they are mythical. 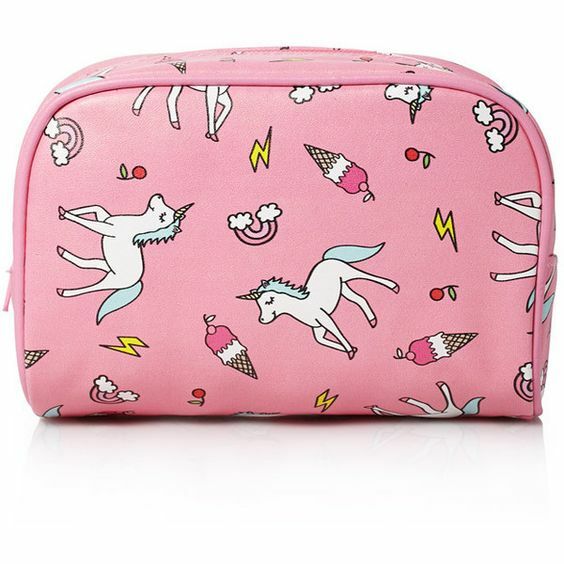 Whenever I see anything with relation to unicorn or with an image of unicorn, I have to have it. Even bought a super cute unicorn tank top with lace back from ONLY along with another one with rainbow print all over it. 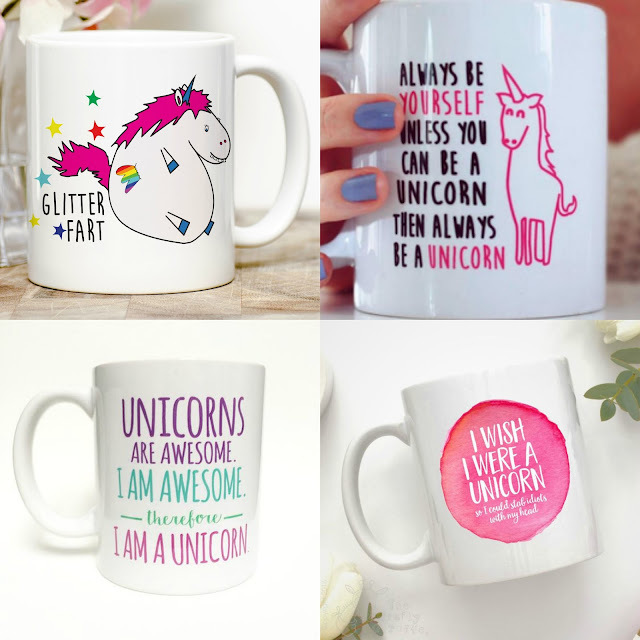 To share my love for unicorns for the all the magic, rainbow and unicorn lovers out there, here are all things unicorn for you all! 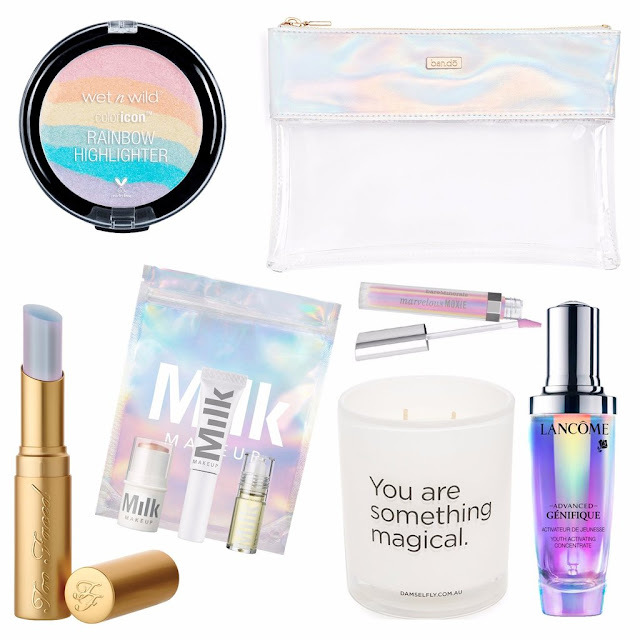 Unicorn printed makeup bag is a must have for all the unicorn lovers! 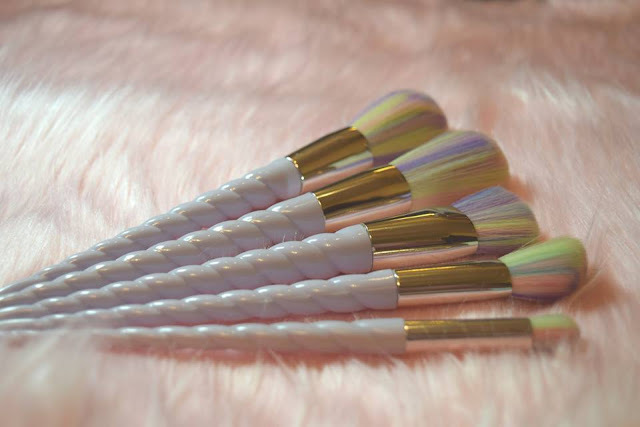 Unicorn horn makeup brush set with rainbow bristles! 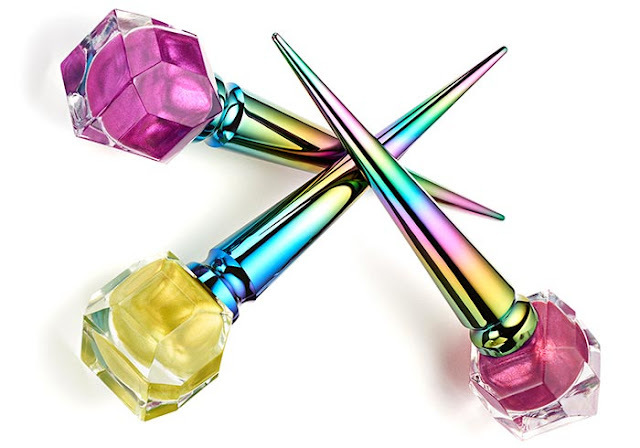 Christian Louboutin unicorn nail polish collection! 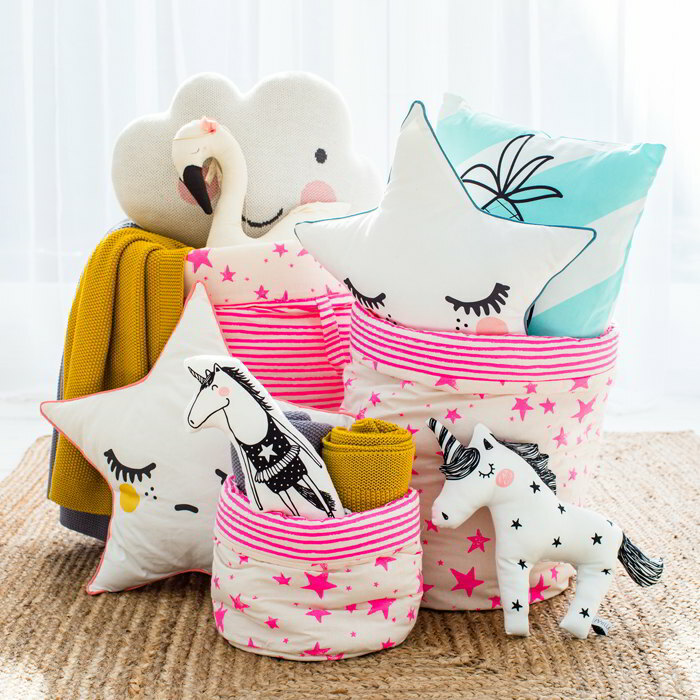 Decorate your room with unicorn Bed and bath accessories! 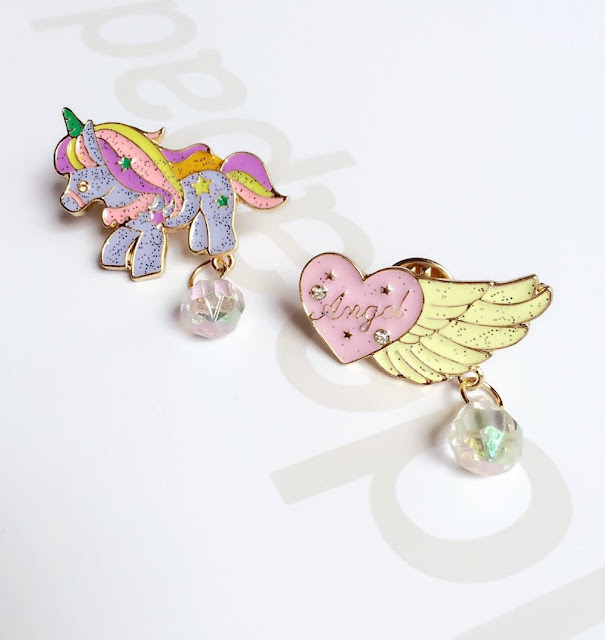 Unicorn lapel pins for your denims and handbags! Unicorn hair color and highlighter! 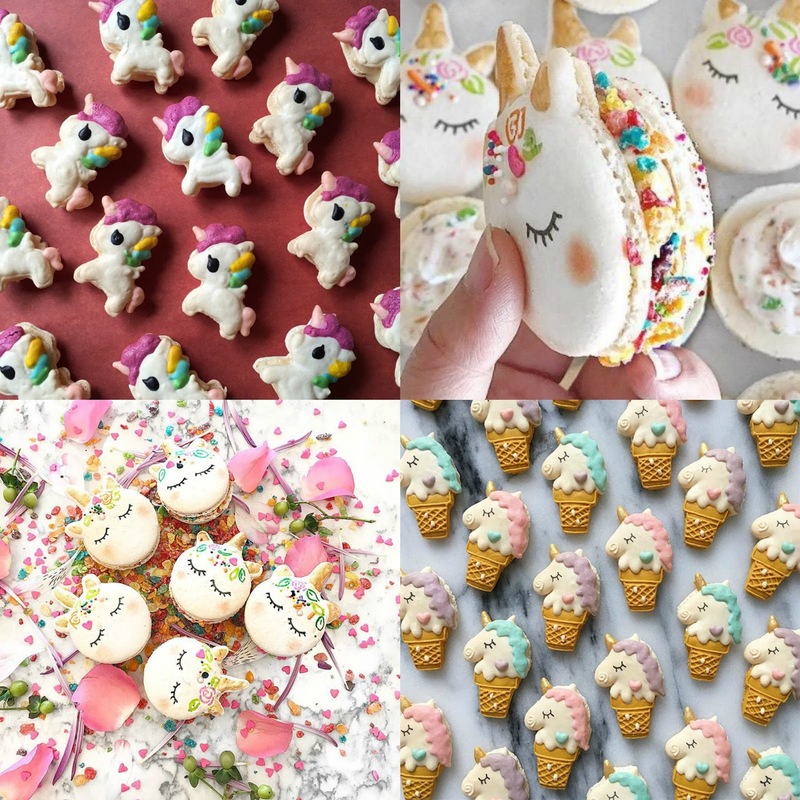 And these unicorn inspired macaroons and cookies! 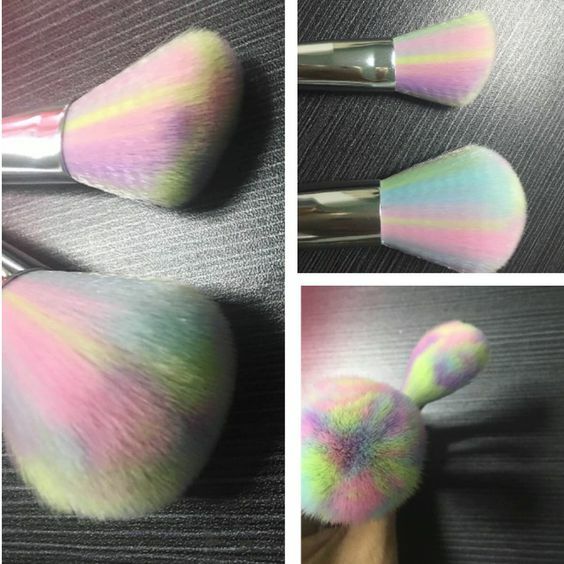 Rainbow highlighter... Coz the unicorn gotta shine! It looks like magic dust! Unicorn inspired quotes for that perfect cup of coffee! Unicorn inspired rainbow makeup products! 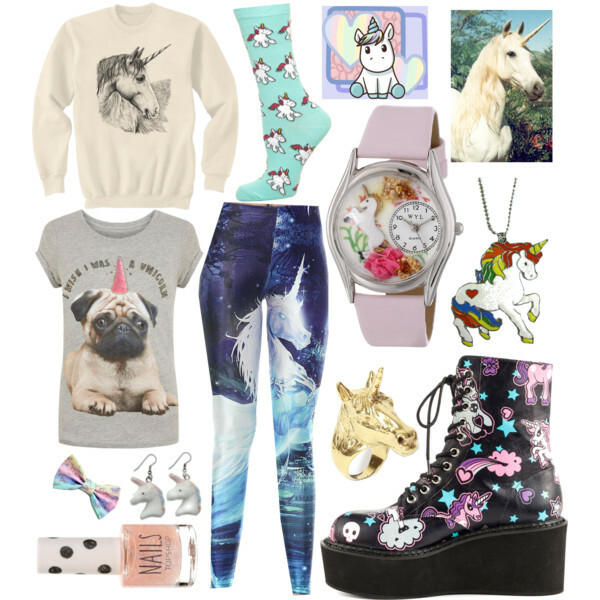 Unicorn inspired fashion for pretty unicorn in you! If you still need another dose of unicorns and cannot get over them just like me, here is yummy unicorn inspired food video for you! 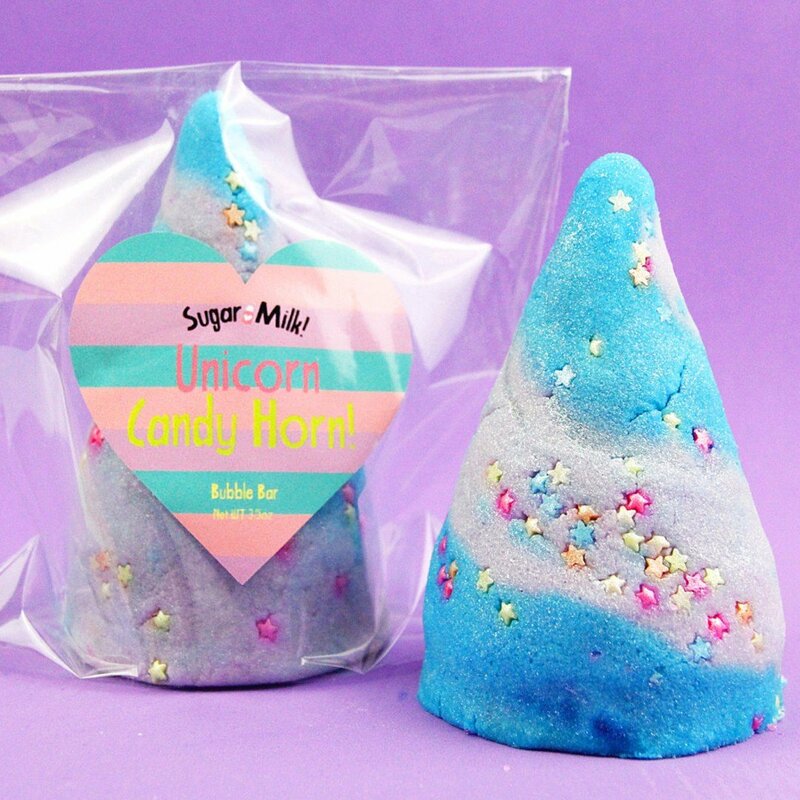 And this Unicorn inspired sugar body scrub!